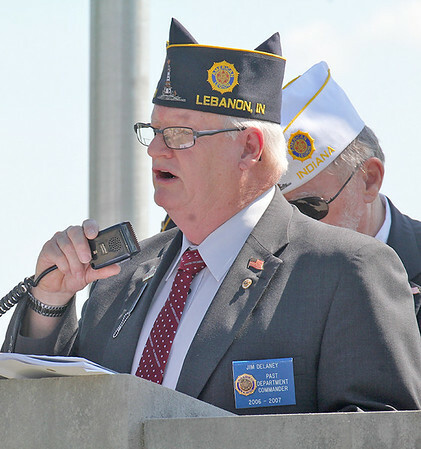 REMEBERING THE FALLEN: Jim Delany, former state commander of the American Legion and member of Post 113 of Lebanon, spoke Monday morning at the Memorial Day ceremony at the Lincoln Memory Gardens Cemetery, 6851 S. Indianapolis Rd., Whitestown. Delaney spoke of the importance of keeping in mind the sacrifices men and women make to keep their country safe. "Let us remember that without the United States military, the world would be a far darker and more terrifying place," Delaney told the audience.